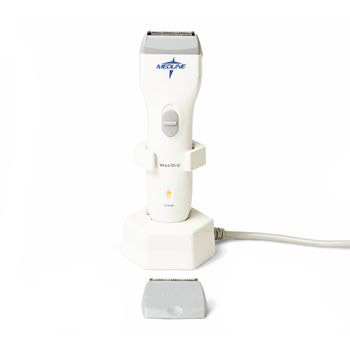 The Medline Cordless Rechargeable Surgical Clipper is a compact and convenient hair removal clipper. The Cordless Rechargeable Surgical Clipper has an ergonomic design and various blade attachments are available. It is ideal for safe and easy hair removal prior to surgery. The Cordless Rechargeable Surgical Clipper enables compliance with current infection control guidelines. For safety, the clipper blades are designed with the cutting blade pointed away from the patient's skin, which helps to prevent cuts and abrasions. 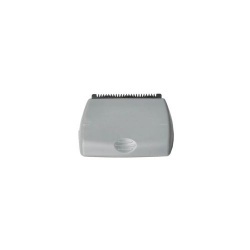 Please note that this product is supplied without a blade; blades must be purchased separately. The Medline Cordless Rechargeable Surgical Clipper is usually dispatched via First Class Royal Mail and delivery should be within 1 to 3 working days. The clippers look neat and well constructed. I have used them and got a close shave for a medical procedure. Easy to use and handle and light in the hand. The charger is great too with the option of wall mounting, (fixings supplied). Cannot fault them and at a very reasonable price too!